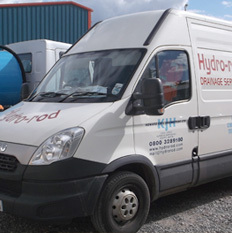 For dwellings without mains drainage, Septic Tanks provide a traditional solution to sewage disposal needs. 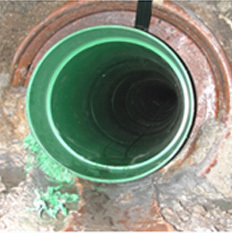 Sewage enters the Septic Tank into a settlement chamber, allowing solid waste (sludge) to sink and liquid to rise to the surface. The surface liquid makes contact with oxygen and the organic matter starts to break down biologically. This liquid still contains sewage but in small enough particles to be carried through the discharge outlet and into the ground (soakaway). 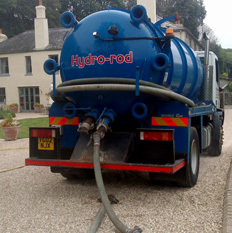 Basic Septic Tanks only partially treat sewage and discharge effluent of low quality. Many authorities in the UK prohibit their use. More advanced products like the Entec SuperSpetic, offer a much higher level of effluent quality, but in all instances a Sewage Treatment Plant should be considered as the first option. Soil is of suitable porosity. Installation complies with Building Regulations (Approved Document H). The installation will not contaminate any ditch, stream or other watercourse. For domestic dwellings without mains drainage, Klargester’s Alpha septic tanks provide a reliable, economic and efficient solution to your sewage disposal needs. Alpha is a range of septic tanks from Klargester, the leading UK manufacturer of off-mains drainage products. They combine Klargester’s experience with the latest production technology to provide a product to meet the needs of both property owners and installers, making Alpha the No. 1 choice. Internal baffle design within the tank aids separation and retention of solids, improving the effluent quality thus providing a long life to the soakaway. Made from composite GRP – strong, light, chemically resistant and watertight. Press moulded shape provides wide, squat, form which makes the tank easy to install and handle. Shackles are provided to aid lifting and positioning within the excavation. All unit volumes are designed in accordance with the recommendations given in BS 6297: 1983. The manufacturing process minimises styrene emissions and reduces waste – all the better for our environment. 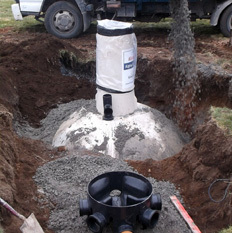 Premier Tech Aqua Septic tanks are manufactured with two chambers offering primary settlement of wastewater and sewage allowing further settlement before discharge of treated material to a soakaway. We would like to be able to send you details of News, Offers and other services we offer from time to time. If you are happy for us to contact you please check the box below.